What is the purpose of the cloistered vocation? What does it look like? What value do our hidden lives have for the Church and for the world? As implied by the adjective “contemplative”, cloistered contemplative nuns come to the cloister to enter into a contemplative prayer relationship with the Holy Trinity. This is our vocation in the Church. This does not mean we do nothing else, but it does mean that all else is secondary. Contemplative prayer is not the same as what the dictionary defines as “contemplation.” In its essence, the prayer of contemplation is not about deep thinking or concentration. It is about profound and all-absorbing contact with God Himself, Who dwells within each baptized soul. This “contact” happens on the deepest level of our being through faith. Receptivity to contemplative prayer takes work. Since it is primarily a relationship, it cannot be brought about simply by willing it. It can only be accessed through great attention and docility to the Holy Spirit. How does one actually become attentive to the Holy Spirit? There are two main ways: practicing virtue, and keeping a recollected spirit. The enclosure within which cloistered nuns live exists mainly to enable us to do these two things more easily, so that we will be able to enter into a contemplative prayer relationship with the Lord. It does this by fostering an environment of peaceful silence within a Christian community. Just as families need a home to live out their vocation properly, contemplative nuns need a cloister. A cloister enables nuns to authentically live out their vocation, which is not defined so much in terms of activity as it is defined by this unique relationship with God at the deepest level of their being. Passionist Nuns, dwelling in the “cloister” of Calvary, find at the foot of the Cross not only their path to contemplative union with God, but also the means of profound interaction with their brothers and sisters on earth. Their very union with the Redeemer spurs them to share in His work of drawing all people to Himself, in practical as well as mystical ways. Closely joined to their contemplative prayer is a life of intercession for the needs of the world; indeed, their constitutions enjoin them “to know the life of the Church and of society” in which they live, in order to hold in prayer all its varied needs. Nuns keep abreast of the world through a variety of different media and through good and reliable contacts, and can often be better informed about current events and key issues than the average American citizen! From their very beginnings Passionist Nuns have sought to welcome others to the fountainhead of God’s mercy, flowing from the wounds of Christ Crucified. They are called to be witnesses to this merciful love not only by their prayerful presence but also by their words — regularly written and spoken to family, friends, and visitors — and by their deeds. Many monasteries, including our own, have retreat-houses where others are invited to spend time at the foot of the Cross with the nuns, whose privilege and responsibility it is to minister to these retreatants. Thus the clear waters of the “sealed fountain” of Passionist monastic life (cf. Song of Songs 4:12), protected as they are by the restrictions of the cloister, are able to reach and to refresh far more souls than merely those of the nuns who dwell there. The vocation to be a “dove in the clefts of the rock,” the open side of Jesus, is certainly not restricted to any particular sort of personality or skill-set! 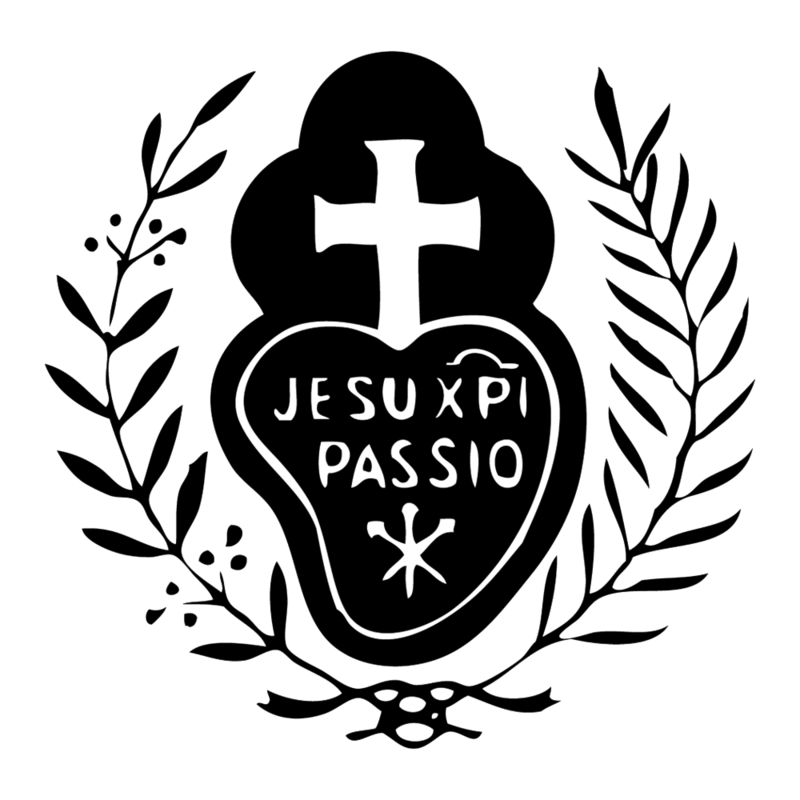 Like all cloistered nuns, Passionists are as varied and variously gifted as any natural extended family. One finds among the brides of the Crucified extroverts and introverts, doctorates and high-school diplomas, construction workers and accountants and artists (and everything in between). The unique personalities and gifts of each sister simply indicate how the Lord wills to bless the community with a sister’s strengths and how the other sisters can support her in her weaknesses. Thus they enable the whole community to live out more fully the life to which they are all called! United by their love of Him who calls them into the intimacy of His love, the nuns rejoice to offer their daily lives as an oblation for the sake of God and His whole world.